So today I am pretty happy to present you the very first NEXTCOLONY WRITING CONTEST! @oliverschmid was so kind to support the contest with some STEEM as prices. Maybe we will see other prices like items and so on in the future. As we all know NextColony will be a massive multi player strategy game; BUT it can and will be much more. It is a whole universe with many many planets, species, heroes and much more. So YOU, yes WE ALL, can invent our own stories for this wonderful game. 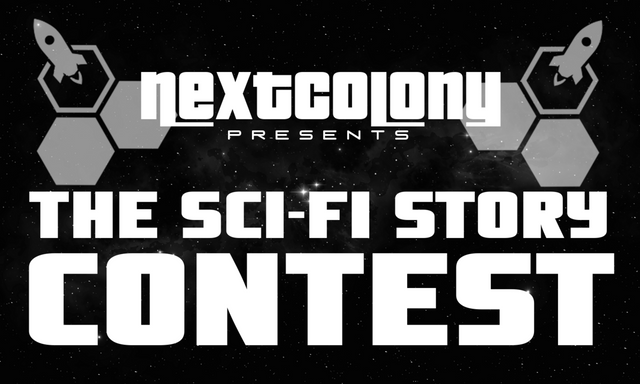 This contest wants to invite you to be a part of it with writing your first story in the NextColony-universe. Check out the main story line here and invent a story based on it. 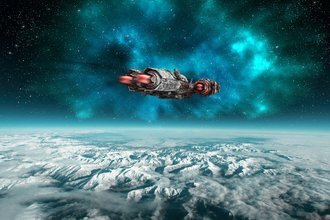 It can be a story about a character or many character on one of the spaceships. The story can play in the future on a planet. It also could be a story about another species; the first contact with terrans and other species or whatever comes to your mind. It just has to be SCI-FI related. The Story can be a short story or the first chapter of a multi-chapter-story. Join my Fanbase on SteemAuto to support my content consistently (Click Here) and register to be my follower. I would appreciate it! THANKS FOR THE SUPPORT! CHECK OUT NEXTCOLONY.IO and join the new game on Steem! Ich habe große Lust, hoffentlich fällt mir was passendes ein. Bin sehr gespannt auf die Ergebnisse und werde natürlich alle lesen. :-) hab gedacht ich teil die auf zwei Contests auf, da ich nicht wusste, ob du noch einen nach dem ersten supportest. So werden es eben zwei. Thanks as we get prepared! It’s gonna be a remarkable journey to outer spaces! Just posted my story, hope you enjoy it: Welcome to Hell. THANKS :-) I hope many will join! Deadline for write the post? 10 day and two hours. 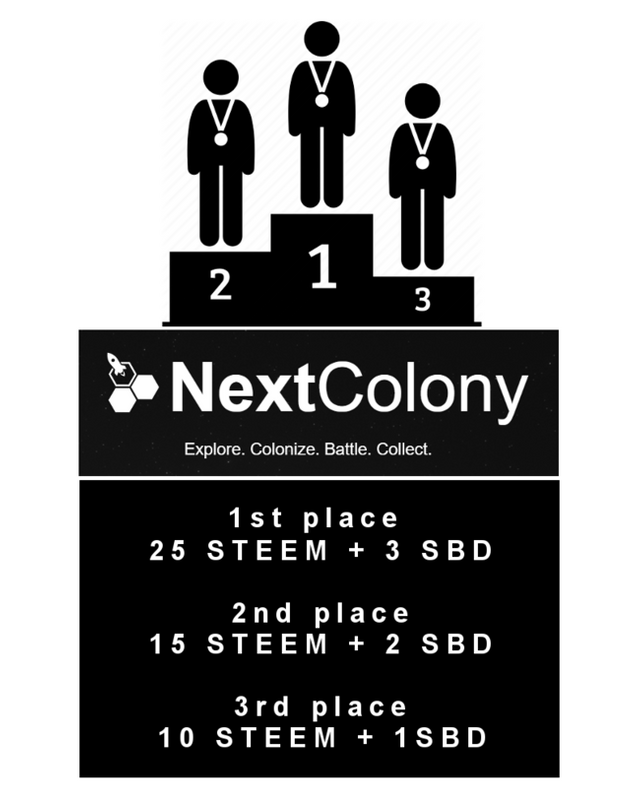 You can see it in the post - contest ends with the second auction -- there is a link to the nextcolony website. Here's my entry. Hope I'm not too late. Also, hope I didn't miss the prompt. This post has received a 61.79 % upvote from @boomerang. It would be nice if the prizes are Uranium planets... That's kinda big bang! I really am excited to play this awesome game. I'll leave a second story. It may go against the rules of the contest and, if so, I plead with the organizers to take it as a symbolic entry (@art-universe?). It's a very interesting experiment. Soon I will publish the second parts, which are no longer competing, because the deadline expires, but not without closing the stories. Hi, I'm really looking forward to playing this amazing new game. This is my participation for the contest I had a lot of fun writing it, I hope you can enjoy it.